Detoxing and cleansing are quite the trend these days. Let’s count. . .there’s the juice fast, the raw food cleanse, the lemon juice-cayenne-maple syrup “Master” cleanse, the colon cleanse, liver cleanse, gall bladder flush, the homeopathic detox, the detox-in-a-box, the candida cleanse, the parasite cleanse, the coffee enema, the wheat grass enema, you can go in saunas and special ionic foot baths, get colonics, I even recently heard of a celebrity cleanse. Unbeknownst to most, however, each of these has a different purpose and definitely a different level of effectiveness. But somehow, they all get lumped into one big category called DETOX. 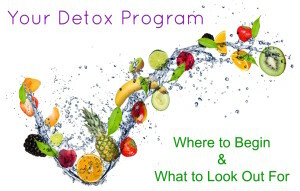 I’ve actually had patients come in seeking help following self-administered-detox-programs-gone-wrong, ones that have done more harm than good. Although I’m sure that at least some of their toxic debris had been minimized, the programs must have either just shoveled toxins around the body without eliminating them, creating an even greater toxic burden, or been ineffective all together. So that happened. But it was actually a beginning rather than an end. 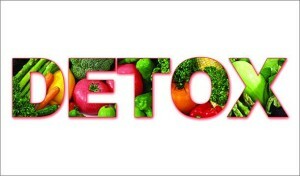 I began researching and testing different methods of detoxification. Being relatively new in practice and really excited that my healthcare license gave me access all these professional product lines for which I could order top-of-the-line supplements, I tried them all. Admittedly, I probably messed myself up a bit in the beginning, but better me than my patients! Early on in my patient treating days, people would come in with all sorts of health problems, digestive problems, hormonal problems, sinus problems, you name it. I’d have them fill out the standard Symptom Survey where they’d indicate which of the multiple issues they are currently experiencing. I’d assess the situation, perform a thorough health history and exam, sometimes send them out for lab testing, and then over the course of months to years, I would diligently work at checking each one of their ailments off the list, sometimes floundering as where to begin or what to actually do. Then I got wise. I noticed that the patients I chose to put through a detox or some sort of cleanse would actually have such great results that they didn’t even need half of the other protocols I had lined up for them. It was literally as if half of what they came in seeking relief from was already gone after their 10 to 30 day cleanse. Then, I could assess the REAL baseline of their health which was far less complicated than before. 1. Most cleanses, detoxes, whatever you’d like to call them will induce weight loss. One of the reasons behind this is that toxins actually have mass. When you get on the scale and weigh yourself, a portion of what shows up consists of toxic debris that is lodged, mostly in the fat cells of your body. Your body is literally using your fat cells as a buffer to protect your vital organs from the toxins themselves. When the appropriate compounds or foods are given, the body can relax, knowing that it is now safe to release these toxins and that your body will not be harmed. The result is that toxins are eliminated from your body and you weigh less. 2. If you’re doing a high density nutritional detox, you’ll literally be flooding your body with vital nutrients. Your body prioritizes everything, so when nutrients come in (through your food), it will first use those nutrients for function and repair of your most vital organs, glands, bones, etc. It will then deliver the left-overs to your less vitally important parts like skin, hair and nails. During a high-density-nutrition program like my Purification Program, you’ll have plenty of nutrients to go around so that lack-luster appearance will be revitalized. Because you’ll be eliminating the junk foods that are dragging you down, and replacing them with real food, the energy factories of your body will be swarming with activity and you’ll get your groove back. 3. Digestion. One of my favorite topics. Digestion is so key to the functions of all other aspects of your body and your health. Some say that without your health, you have nothing. I’d say that without proper digestion, you can’t really have true health. So with a good detox program, you’ll eat a really clean diet along with nutritional supplements to clean you out. You can literally have layers upon layers of mucus lining your intestines where you’re supposed to be digesting and absorbing your food and nutrients. There can be a number of digestion issues going on that I won’t get into here, but eliminating the inflammatory foods will give your body a chance to improve digestion, if you do it right. 4. So those patients who have come in seeking post-cleanse help fall into this category. Without naming names, a few of the cleanses out there are poorly designed, in my opinion. Some detox you too forcefully that your body cannot keep up with elimination, especially if you started with compromised digestion. The other thing that happens far too often is that the detox does not adequately support the liver through the process. What happens in both of these cases (they usually go hand in hand) is that the toxins are not being broken down well enough in the liver and then getting clogged up in the gut. If the gut is not working properly, toxins begin to leak back out into your blood stream and ping-pong around your body rather than getting flushed down the toilet. You end up plugged up, congested, achy all over, and more toxic than when you began. Unfortunately, stopping the detox in this state can leave your body stuck and unable to recover for a long time. 5. This is interesting. Some cleanses that even have the word Cleanse in the title can help eliminate inflammation, reset high blood sugar levels and decrease water retention through increased urination. All good things. If you’re not eating much, you’ll likely lose weight as well. These can be quite effective for specific targeted issues. However, they do not provide enough nutrition to thoroughly cleanse the body as they may imply. 6. We’ve all heard that saying, “You get what you pay for.” I have seen some pretty well-thought-out food based detox programs available online for close to nothing. You pay for the food guide, make your own food, follow the diet and hope for the best. Seems like a great deal. . .until. . .you can’t go to the bathroom for 5 days, break out n a rash, spike a fever, oh I don’t know. . .PASS OUT! And THEN what are you supposed to do? Call the doctor who created the detox? Oh wait, they aren’t a doctor, they’re just someone who put together a well-thought-out food plan for you. Which is awesome, but they may not have the experience or knowledge of how to trouble-shoot complicated cases. On the other hand, you have some practitioners (even non-practitioners) who charge thousands of dollars to walk you through a cleanse. Are you getting what you pay for? Hopefully. That’s all I’m going to say. 7. So revisiting that very first detox I did more than 20 years ago. . .I had no idea what a detox was, what to expect, what the outcome might be, or why I was even doing it. I just put total trust in the doctor who recommended it. And I am SOOO glad I did. But I’ll be straight with you. . .it about killed me. My head hurt so bad I thought pounding it against a wall might actually relieve the pain. Voluminous amounts of nasal congestion flooded my sinuses, draining like Niagara Falls. I ached all over, felt nauseous, and couldn’t get out of bed for 2 weeks. It may sound like I coincidentally happened to get sick at the same time I started the detox, but I assure you, it was just my body’s response to an extreme release of toxins. And once I pushed through and got enough of it out, I felt better than I had in, well, my entire life. Technology has come a L O N G way since then and the medical detox products we use now, when administered properly, avoid this drastic response. But again, you really have to know how to use them. The body MUST be supplied with the proper nutrition in order to effectively detoxify. What so much of it comes down to is this: Your body is so brilliant that as soon as you eliminate the offending factors, your body is freed up enough to start eliminating toxins the way it was designed to. If the detox you are doing is also one that eliminates certain foods, you will most likely lose quite a bit of inflammation that was being created by these foods. When we eat processed foods, genetically modified foods and things that just aren’t found in nature, our bodies don’t exactly know what to do with them. Sure, the innate intelligence of the body can figure something out, attack them, break them down and eliminate as much of them as possible. But sometimes the body just needs help. That’s where a well balanced, science based detox comes in. All of the detox programs I use in practice are specifically created to be gentle but thorough. They’re well-designed, covering all the bases of supporting organs of elimination, assisting the body in converting toxins to a form that is SAFE and ready for excretion, and they’re scientifically tested for safety and effectiveness. Plus, when you cleanse with me, you have access to me personally for accountability and motivation, to trouble-shoot should a problem arise, and also to answer your questions. You’ll receive initial coaching, ongoing coaching throughout the length of your program so you can get results in a start-to-finish order, and after-care recommendations for continued success.